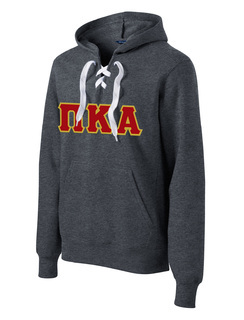 You'll soon see what Greek Gear is all about after browsing our fraternity and sorority clothing catalog. We have everything conveniently organized by group -- this distinct page is for Pi Kappa Alpha members who want Lettered Twill Clothes. 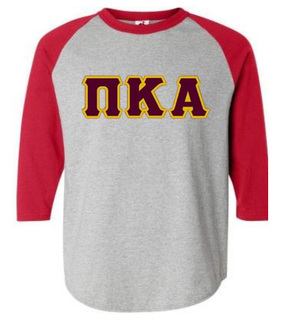 Twill letters are big in fraternity wear because they are big, bold and impossible to miss. 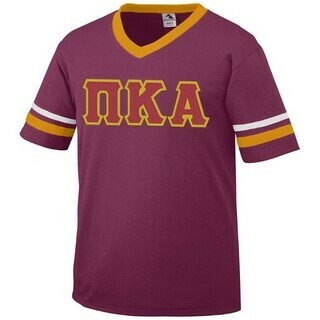 As you can see we've put them on just about every type of t-shirt we sell, including white cotton tees, colored t-shirts, long sleeves and tank tops. 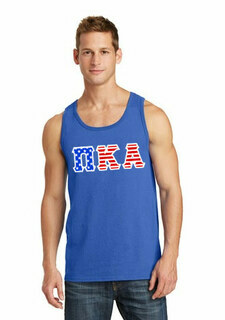 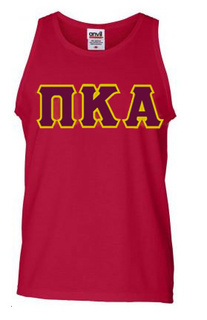 In the case of the Pike Greek Letter American Flag Tank, we've designed your letters in red, white and blue stars and stripes. 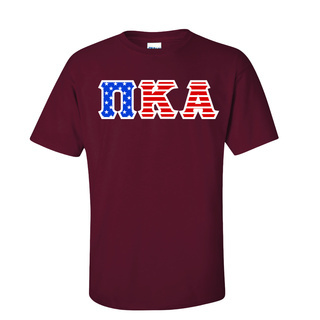 Perfect for hot summer grilling on the Fourth. 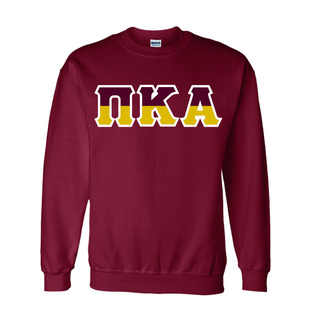 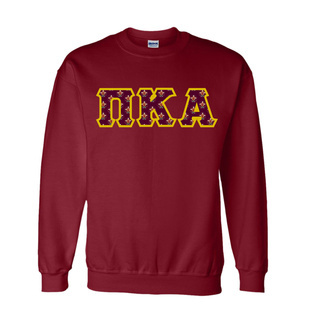 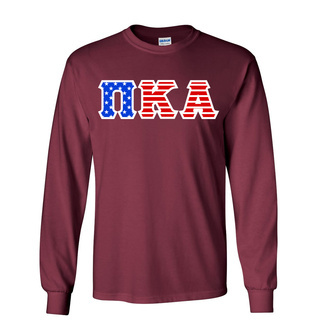 If you're a member at a college on the east coast, Midwest or another seasonal region with cold winters, order a few Pi Kappa Alpha Lettered Crewnecks. 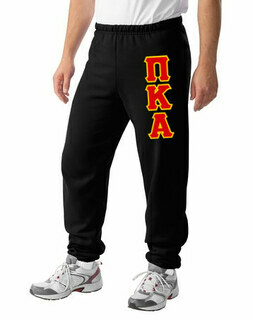 It's ideal to wear for lounging with friends, jogging on dewy mornings or attending classes in the fall and winter. For around $30 (while supplies last) this sweatshirt comes with red and gold letters as shown and your choice of apparel colors (added fee for colors other than white). 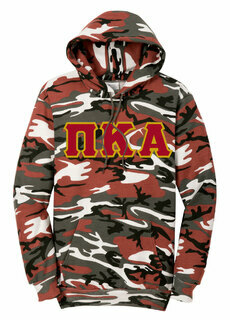 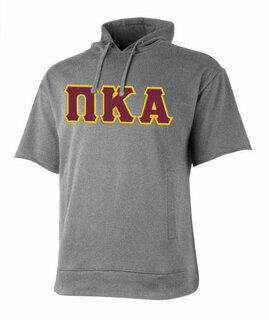 Give your fraternity wardrobe an immediate upgrade by adding Pi Kappa Alpha Lettered Twill Clothes to the mix. 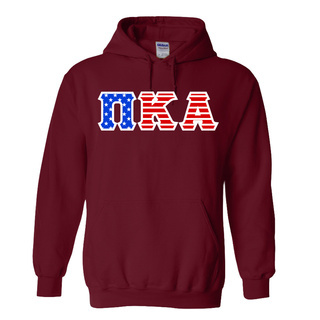 It's a privilege to be able to wear your Greek letters this loud and proud, so why not take full advantage! 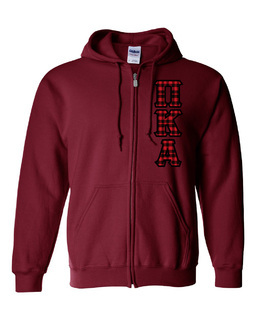 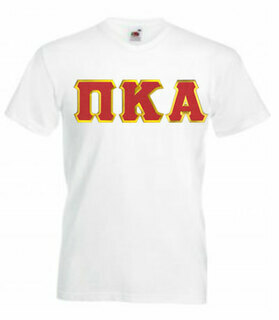 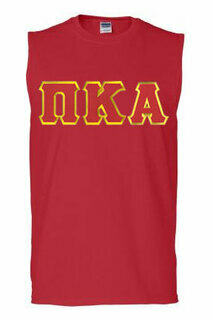 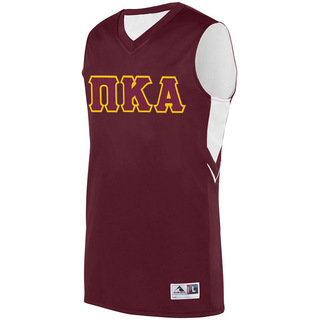 Pi Kappa Alpha Lettered Twill ClothesThe Greatest Selection. Period.